Sniping in games isn’t really my thing for the most part as I much prefer using massive heavy weapons to mow down my opposition in a hailstorm of bullets or plasma. 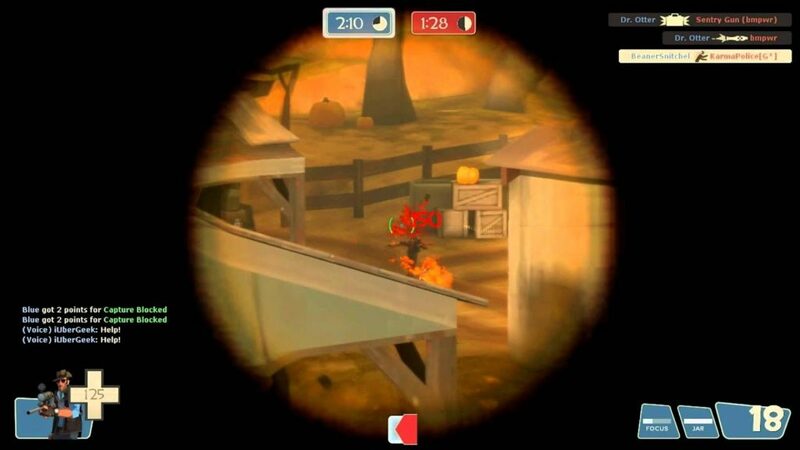 However I found that one of the best ways to enjoy sniping is to spend an evening just listening to relaxing jazz or techno music and clicking away on heads without a care in the world. It’s really amazing how much of a difference just learning to relax can do when it comes to fine point aiming in mouse controlled first person shooters. Instead of twitching and adjusting my aim every few seconds while panicking as an enemy gets closer and closer I just watch them slowly and take a nonchalant click on their head and watch it explode. If I die then I die but it’s been amazing how much better I’ve gotten ever since I stopped taking sniping so seriously. I highly encourage you to try this technique out for yourself if you find yourself having sniper problems. I promise you it will change your outlook on the long range death dealers for good. That’s all for now, and as always. It’s not just a game, It’s a Life.